This book covers modern photonics accessibly and discusses the basic physical principles underlying all the applications and technology of photonics. 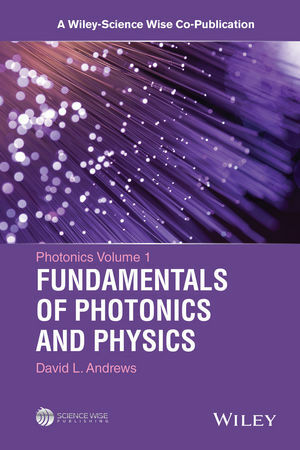 This volume covers the basic physical principles underlying the technology and all applications of photonics from statistical optics to quantum optics. 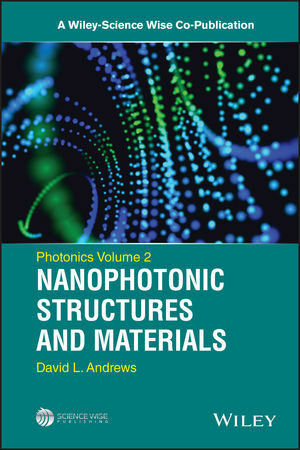 The topics discussed in this volume are: Photons in perspective; Coherence and Statistical Optics; Complex Light and Singular Optics; Electrodynamics of Dielectric Media; Fast and slow Light; Holography; Multiphoton Processes; Optical Angular Momentum; Optical Forces, Trapping and Manipulation; Polarization States; Quantum Electrodynamics; Quantum Information and Computing; Quantum Optics; Resonance Energy Transfer; Surface Optics; Ultrafast Pulse Phenomena. David L. Andrews leads research on fundamental molecular photonics and energy transport, optomechanical forces and nonlinear optical phenomena. He has over 300 research papers and a dozen books to his name, including the widely adopted textbook Lasers in Chemistry. The current focus of his research group is on novel mechanisms for optical nanomanipulation and switching, and light-harvesting in nanostructured molecular systems. The group enjoys strong international links, particularly with groups in Canada, Lithuania, New Zealand and the United States. Andrews is a Fellow of the Royal Society of Chemistry, a Fellow of the Institute of Physics, and a Fellow of SPIE, the international society for optics and photonics.